I built this wooden trough as a planter for our kitchen island in the spring. 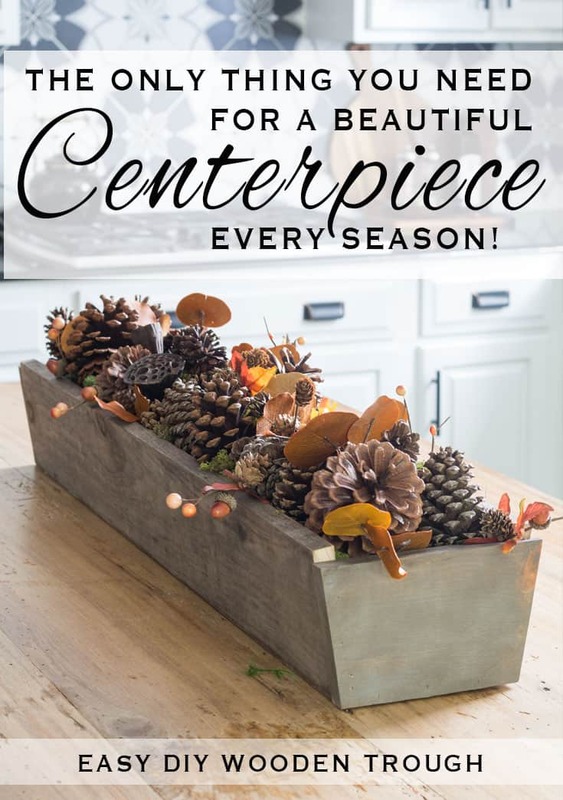 But, once spring had passed and the blooms faded I realized this trough is the easiest, fastest way to create a centerpiece for any season and on any flat surface or tabletop in your home. 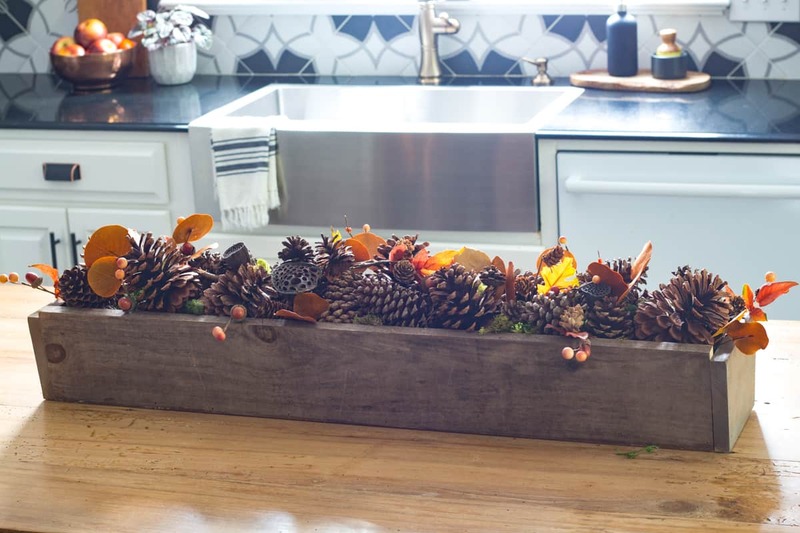 So this fall, I added pine cones, dried leaves and little acorn picks to the trough for a quick and easy centerpiece. 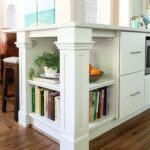 You can use it to style a long sofa table, a mantle, or like I have done here, a kitchen island. 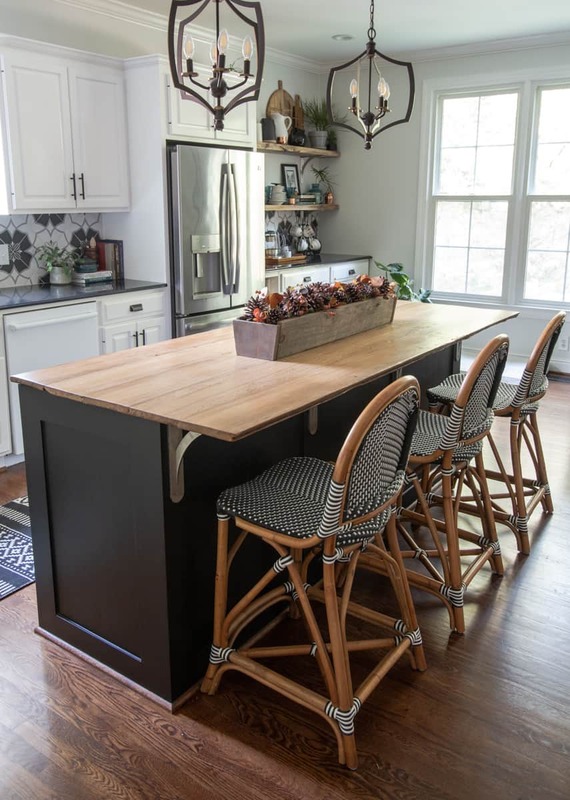 On my large island, it is long enough to make a beautiful statement without being obtrusive. If friends or family are seated at the counter, we can still carry on a conversation without a huge distraction. 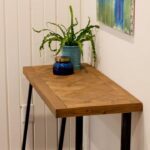 Which is also why a trough is perfect for a dining room table setting. 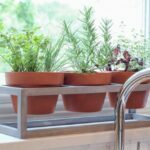 The sloped side was originally designed for potted plants, because most post are smaller at the bottom and larger at the top. The efficient nature of the slope reduces the amount of filler needed to hide a pot or give it a generous, overflowing look. Be sure to see more Fall DIY projects from my friends down below! 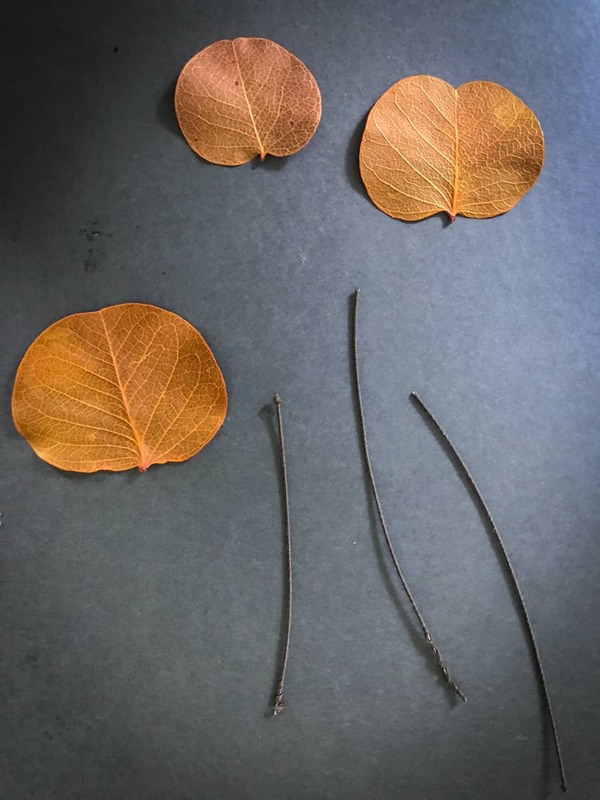 This holiday season I’ve partnered with JOANN so all of the dried leaves and floral picks can be found there. I hot-glued the dried leaves to fabric covered wire to make my own custom picks. I created a video tutorial to walk you through the step by step process of this very easy construction. 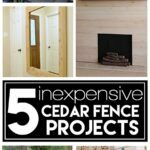 It would make a great beginner woodworking project. 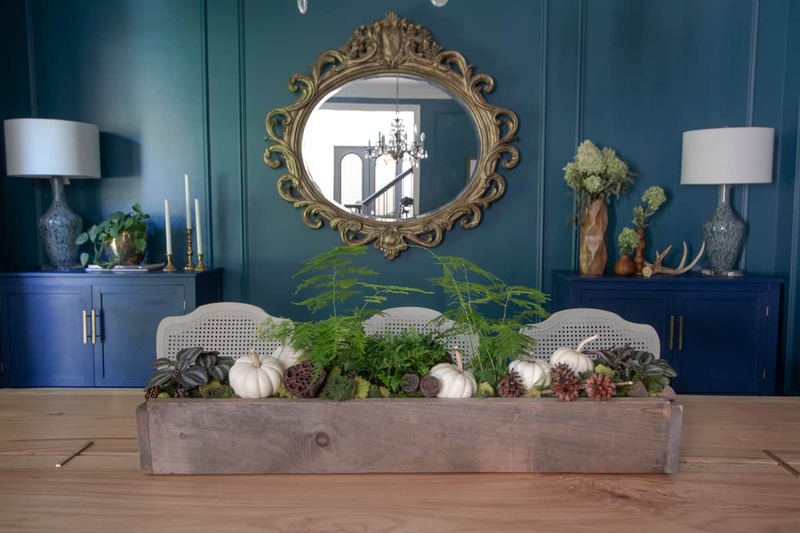 How to build a wooden trough centerpiece. Here’s how I filled it with plants this spring! All of the plants you see in the trough last spring are still in their original pots. I lined the bottom with aluminum foil to keep water from seeping onto my wooden island. 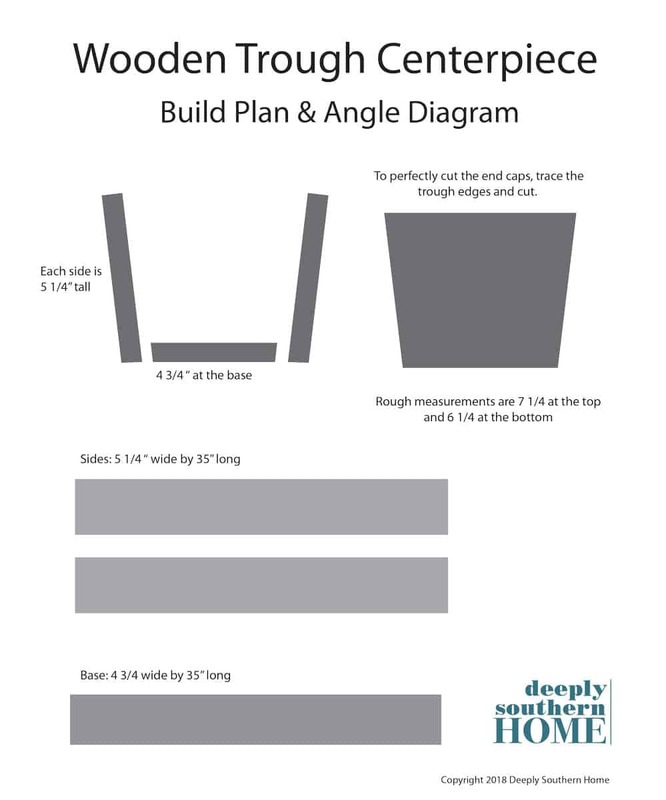 Here is a cut plan with sizes I used for my planter. But feel free to modify to suit your needs. Here’s another way to style the trough for fall. 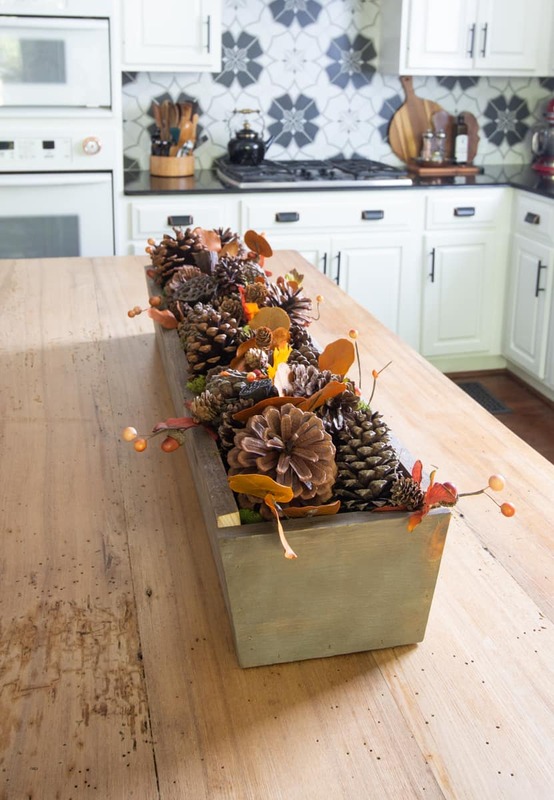 This version as well as more fall inspiration can be seen in my Simply Fall Home Tour. Here’s another fresh look for fall from a couple years ago, using a vintage tool box. You could easily paint your trough in a chippy finish and creat something like this! 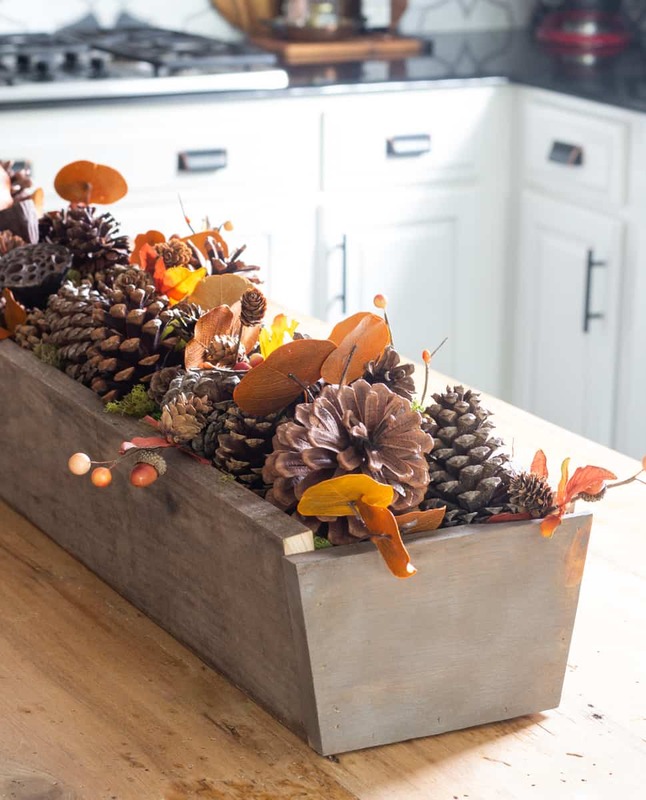 Check out this Fresh Fall Centerpiece. Thank you, Danielle! We love it too! 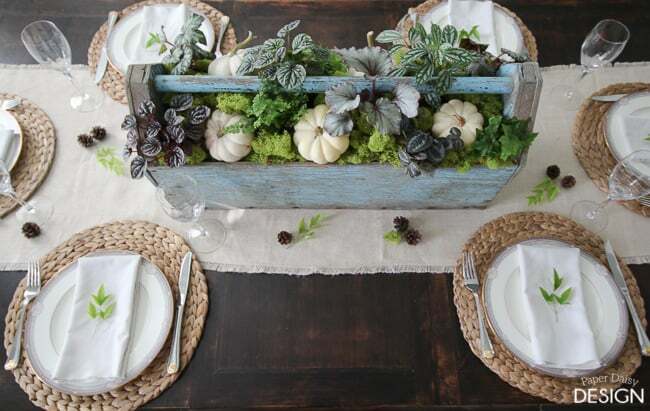 I was going to use it in the dinning room this season, but I decided it was better in the kitchen for the fall! Maybe Christmas I’ll move in there. What a fun project and perfect for all seasons! I love it filled with the autumn goodies! Thanks! And it wouldn’t be cool for a more modern look to paint it black? Thank you!! Gotta love an easy build!! This is amazing! Thank you so much for sharing this wonderful project with us! Thank you!! It was a fun and easy project!! Looks great! I love projects like this that you can change up each season! Isn’t it a plus when it’s something you know you will use over and over! Thanks!! Thanks so much for having me!! I love the collective inspiration each season! So adorable! Love that it’s low so you can see over it on a table! 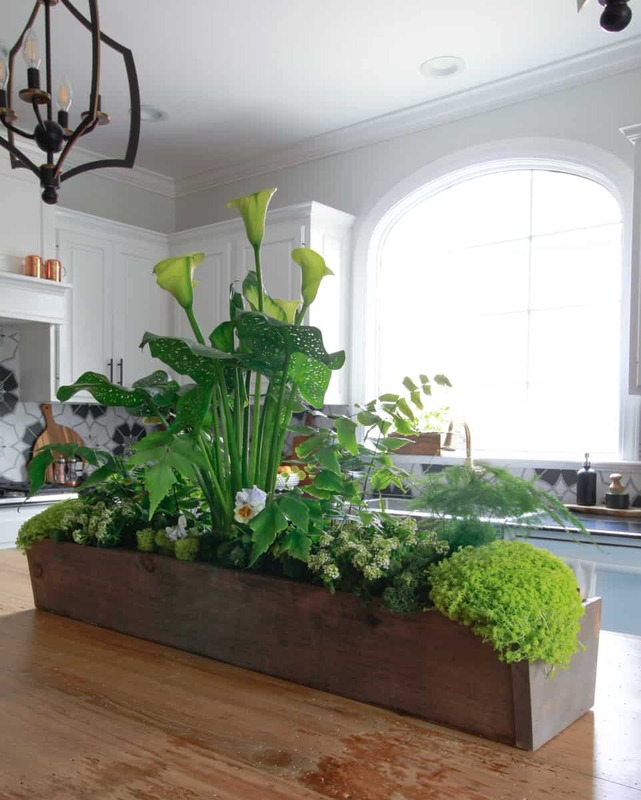 A nice low centerpiece is definitely practical for every day use! Thanks. So cute! I’ve been wanting to build some of these for window boxes one of these days too. Love how versatile they are! They really are. The slope of this makes it perfect for pots too! Thanks! It really is and so very easy to build!! Thanks! I know aren’t they the best, April! Thanks!! That trough is so versatile and can go anywhere any season! Love it! Thanks, Jen! It really is! I have a feeling it’s going to make the rounds in the rooms in my house! !